FREE. Everyone invited. The more people…the more powerful. Join us! Outdoors on Alumni Field (rain alternate: Athletic Centre). A true expansion of what the Blanket Exercise experience means for Atlantic Canada. If you are ready to help reconcile the past for Indigenous people then SHOW UP. 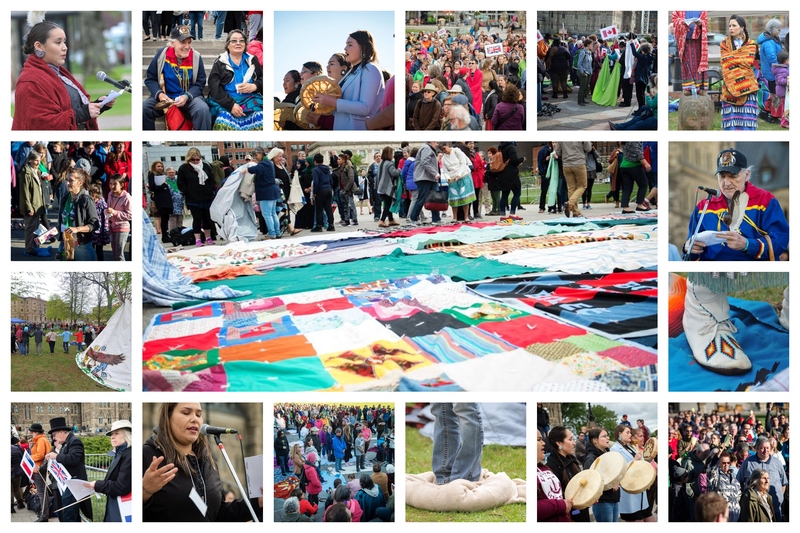 The KAIROS Blanket Exercise is a unique, participatory history lesson – developed in collaboration with Indigenous Elders, knowledge keepers and educators – that fosters truth, understanding, respect and reconciliation among Indigenous and non-indigenous peoples. In the words of Senator Murray Sinclair: “Education is what got us here and education is what will get us out”. Education is the cornerstone for change. You may have experienced the Blanket Exercise before, but standing with hundreds of others will multiply its impact in the hearts and minds of all. Bring your family, bring your friends, bring your whole community…come out for the largest Blanket Exercise ever in Atlantic Canada! Included for participants of Streams of Justice: KAIROS Atlantic Gathering 2019. Details of the 3-day gathering are at: www.kairoscanada.org/atlanticgathering.